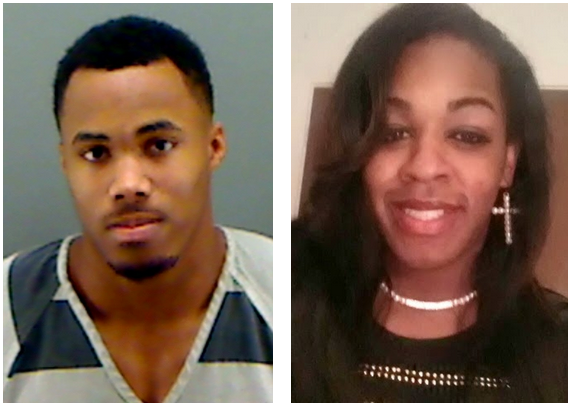 Texas College football player Carlton Ray Champion Jr. has been charged with the murder of 24yr old transgender woman, Ty Underwood, who was killed on Jan. 26th. Police first caught a break in the case when Ty's roommate, Kedrick Darks, told police Underwood had been dating a man named “Carlton” for several weeks prior to her death. Police say they interviewed Champion, who confirmed that he had been communicating via a service called “Kik” with Underwood, who was going by “Tyra” on the service. They were able to search Champion’s tablet computer and allegedly discovered communications between Champion and Underwood dating back to January 19, 2015. After that, there was allegedly some additional conversation about where and how they would meet, and whether it would be at a Texas College or along a random street. The conversation makes it appear they were to meet on 25th street. The investigators also obtained surveillance video allegedly depicting Champion exiting his dorm early on the morning of January 26 following the Kik conversation. They say Champion met up with Ty - and when he found out he was born a male, Champion allegedly killed him.